These sequin statement straw hats are totally not worth the $400+ that designer versions cost in my opinon. 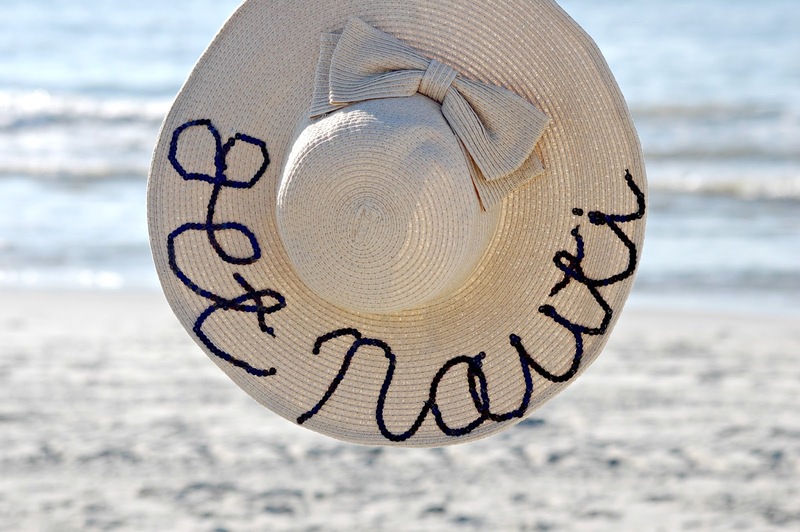 With a little sequin ribbon, hot glue, and a straw hat you have everything you need for a DIY version. The hardest part in all of this project is deciding on a statement for the hat - okay not true, it was a lot tricker getting the ribbon to actually look legible. In fact, my "get" still looks like "jet" but I just got over it after a while.